I attended the “Beyond Disenfranchised: LGBTQ Community Resilience and Healing” session at the ADEC (Association for Death Education) conference last week. It was my last session of the only day I was able to spend there. Much like the lunchtime networking group on Buddhism, something drew me to this. It was clear from the start that there was frustration in the room. Some of it was directed towards ADEC, and how the LGBTQ community’s experiences (particularly in terms of medical directives and emotional support for end-of-life issues) were not being included in the larger discussions. The panelists were on the front lines, both in terms of the LGBTQ community as a whole and HIV/AIDS services (which are NOT the same thing). In fact, they’d been in the trenches a long time – a couple of them since the beginnings of the epidemic in the 80’s. I found myself nodding, as one man recounted his experiences in Seattle: scrambling to find a funeral home that would handle a body that had succumbed to AIDS, the need for the gay community to open their own hospices because existing organizations shunned HIV-positive patients. Memories – not pleasant ones – flooded back. ACT-UP (AIDS Coalition To Unleash Power): demonstrating, demanding that government officials break their silence and help their community, setting the example for supporters of breast cancer research and other causes. They were outrageous and loud but they had to be, because of the indifference and hostility they faced. Remember their motto? Eventually, I raised my hand, and said that when I wrote my article last year for Windy City Times (see the Articles page), I was stunned by how much anger I still felt. Some of the anger was about how I was treated, but most was about the injustice and prejudice and outright hatred I witnessed. That, as I alluded to in Friday’s post, ignited a very impassioned discussion. I’m sure everyone left there believing that it’s time to get angry again. Why? Because new infections are on the rise, not just among young gay men, but straight women over the age of 50. Because for all of the societal victories by the gay community – especially legal, not just including marriage/civil unions – there is still a perception that HIV/AIDS is “their” problem. I apologized to a couple panelists afterwards, for introducing anger into the conversation. But as I’ve had a few days to reflect on this, I realize that I blurted out my comments for a reason: I really am still angry. Thirty years ago, I remember believing “ten years; in ten years they’ll have a cure or a vaccine and this will all be over with.” That didn’t happen. AIDS has been around for almost half my life. 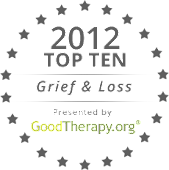 It defined a large part of my adult life, not just because of the work I did in the community, but because of the friends I lost to the disease. The mere idea that it’s still around, that people are still being infected around the world, that those who suffer from it are still stigmatized, that most people feel it has nothing to do with them…well, yeah, I’m still angry. 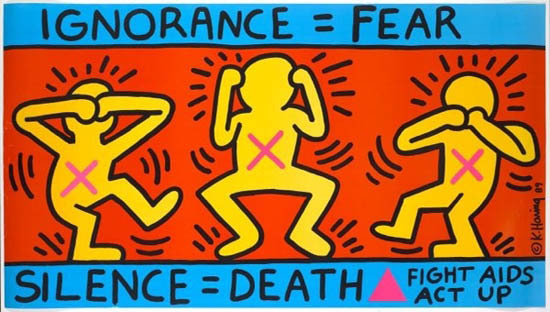 You may never have lost a friend to AIDS, but the cause ultimately doesn’t matter. All that matters is that you lost a friend you loved. You may never have consciously felt angry about their death. But it may be that you just never admitted it, especially if you somehow blamed them. As I’ve said before – and will undoubtedly say again – it’s all right to be angry when your friend dies, no matter who is the target of that anger. Feel angry, without feeling guilty about it. The bigger issue is…what are you going to do with that anger?